NBA 2K is back with the most true-to-life NBA experience to date with NBA 2K16. Featuring an all-new MyCAREER experience written, directed & produced by acclaimed filmmaker Spike Lee. The NBA 2K franchise is back with the most true-to-life NBA experience to date with NBA 2K16. Featuring an all-new MyCAREER experience written, directed and produced by acclaimed filmmaker Spike Lee. Guide your MyPLAYER through the complete NBA journey, take control of an entire NBA franchise, or hone your skills online competing against gamers from around the world. 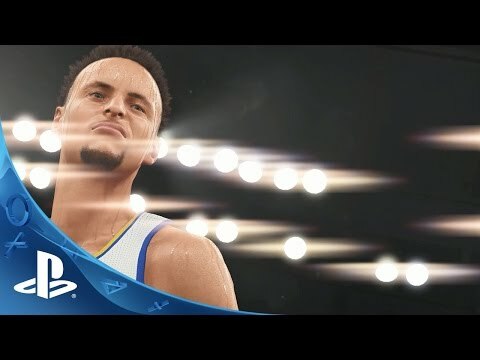 With animations that provide smoother movement and more realistic articulation, and three unique cover designs featuring NBA stars Stephen Curry, Anthony Davis and James Harden, it’s certain to be the most authentic NBA gaming experience yet. MyCAREER - A SPIKE LEE JOINT: Our most intense first-person narrative to date, written and directed by Spike Lee. 2K PRO-AM: A groundbreaking new mode designed specifically for your MyPLAYER. Play as a walk-on in a true five on five basketball experience, or join forces with friends to create the perfect crew complete with user created custom logos, uniforms & arenas. FEATURED DJS: DJ Khaled, DJ Mustard and DJ Premier produce our biggest soundtrack to date, featuring 50 dynamic tracks across 5 playlists and exclusive cuts from each DJ. PLAY WITH MODERN LEGENDS: Step onto the court with 12 new legendary teams, including some of the most epic squads from the past 15 years. NBA 2K is back with the most true-to-life NBA experience to date with NBA 2K16. The NBA 2K16 Starter Pack Bundle includes NBA 2K16 and 75,000 VC. NBA 2K16’s in-game currency, VC, can be spent on your MyPLAYER, MyTEAM card packs, and more! NBA 2K16 will feature Michael Jordan on the cover of this year’s Special Edition and celebrate Jordan’s Hall of Fame legacy while giving fans even more options to customize their in-game experience. This is only available to customers who pre-order. © 2005-2015 Take-Two Interactive Software and its subsidiaries. All rights reserved. 2K, the 2K logo, and Take-Two Interactive Software are all trademarks and/or registered trademarks of Take-Two Interactive Software, Inc. The NBA and NBA member team identifications are the intellectual property of NBA Properties, Inc. and the respective NBA member teams. © 2015 NBA Properties, Inc. All Rights Reserved.